It was a Sunday full of wine and sprinkles for all but the poor and the poorly, and the animals in the forest rejoiced but for a grumpy little sparrow who fluttered about, searching for some sweet, sweet white to abate his surly demeanor. “Suit yourself, then!” The canary took her leave. It was in that moment that the sparrow noticed a leaf to his left of precisely the wrong shade of yellow-green. Properly offended, he bent down and plucked the unsightly thing from his perch. Doing so, however, created an imbalance with the other side of the branch, so he plucked a second leaf to even things out. Several minutes later, the branch was laid bare. Please do not remove all of my leaves, Mr. Sparrow, said the tree in a language made of rustles. I need them to photosynthesize. The sparrow pecked the tree in irritation, then took to the air. But in his haste to be on with his search, he neglected to pay sufficient mind to overhead clearance, and promptly bonked his head upon a higher branch and plummeted to the earth below. The sparrow considered this for a moment, and then ended the squirrel’s life. Slipping into the oak, the sparrow instantly noticed the heap of glorious snowy powder tucked away in one corner of the hole. Wasting not another moment, he thrust his beak into it, but then immediately recoiled. The sparrow puffed up, pregnant with rage, for it was not sugar at all, but saccharin – a devious impostor created by man. He knew this, for as well as grumpy he was a clever sparrow. In fact, a human child had once tried to feed him saccharin. A child who had concluded that day with fewer fingers than she had begun it. The sparrow thwacked the atrocious substance with a wing, sending up a billow of grievous white dust which settled upon his feathers. A squirrel was a low-quality creature, he reminded himself. After managing somehow to stave it off the entire season, I have finally taken grossly ill just in time for Christmas. Because 2016, I guess. So, have a much better Christmas than me, everyone! This week, let us all give thanks for the things that are…not bad. And even some of the things that are bad, if they’re also, you know, kind of good, or…result in good things. Somewhere deep within the Forest of Meaning there lay a bag filled with promises for every creature, great and small. Your tail will grow much larger this summer. This pleased the squirrel greatly, for he had chosen a very large tree as his home to compensate for the lack of confidence his currently meager tail provided him. A large home and a large tail? Well, the squirrelettes wouldn’t be able to resist him then. He thanked the bag and moved on. Your hops will be bouncier than ever this week, and by its end, you will find your one true rabbity love. The bunny hopped in excitement and nuzzled the bag with gratitude, then bounded away. You will run with more grace and speed than you thought possible, and avoid the jaws of the wolf. This was, of course, splendid news. The deer had a very young fawn and would not like to see him orphaned. Well, naturally she wouldn’t see him orphaned, as in such a scenario she would be deceased. The opposite was entirely preferable. She sighed in relief and trotted off. A cricket followed. He crawled into the bag and searched around. He dug through all the promises, explored every corner, scoured every inch, but could find no promise meant for him. It was an astute suggestion. The cricket tried looking harder, but still uncovered no promise for himself. “I see nothing, o magnificent bag.” The cricket was quite despondent. 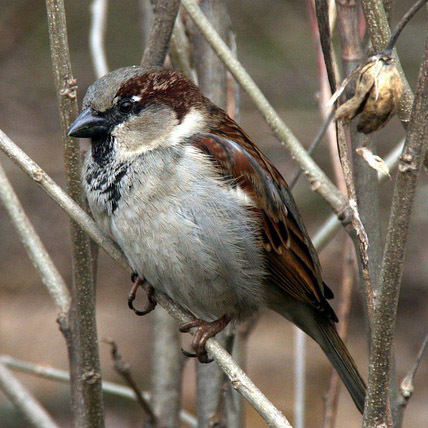 It was then – exactly then – that a grumpy and impatient sparrow fluttered down, snapped the cricket up, and ate him bodily. It was not very satisfying. “Oh,” said the bag, relieved. “That would be why.” The world made sense again. You will find no sugar this week. “That is a terrible promise,” grumbled the sparrow. “Just a waste of everyone’s time.” The sparrow pecked the bag in irritation. Thoroughly displeased with the day’s events, the sparrow took his leave. Hope everyone’s ready for Halloween tomorrow! I’m feeling lazy, so here’s Sear again with pumpkin stuff. Why is it so hard to make ends meet in today’s economy? As usual, Sear has the answer!